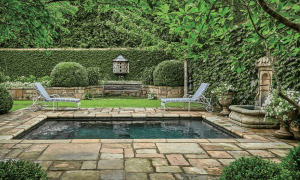 How does Troy Rhone create perfectly charming outdoor sanctuaries, pool deck designs, and quiet gardens abodes? 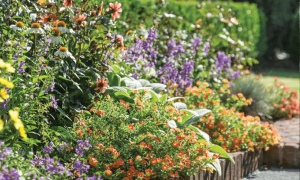 In this issue of Southern Lady Magazine, delve into Troy’s process for designing gardens that reflect the unique lives of each individual garden owner. One very important step in the garden design process is selecting vintage and antique pieces—either family heirlooms or elements selected by Troy—since they hold strong meaning and personal value. Troy’s personal touch, intricately mixing antiques with lush plantings and abundant blooms, is key to the essence in his designs. The article includes an account of one of Troy’s clients who survived cancer three times. 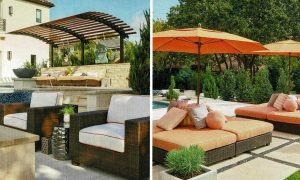 For her garden design, he included a fitting garden statuary to reflect her unwavering strength through her struggles. See additional photos and read the full article “Gems of the Garden” — published by Southern Lady Magazine. The Southern Lady Magazine article was written by Elizabeth Czapski and photographed by Ryan Carlson. 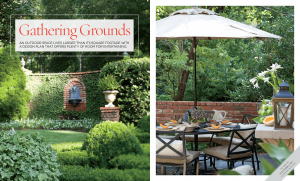 Troy Rhone’s attention to detail in this recent garden design transformed a once-neglected lawn into a haven. See full article in Flower Magazine. 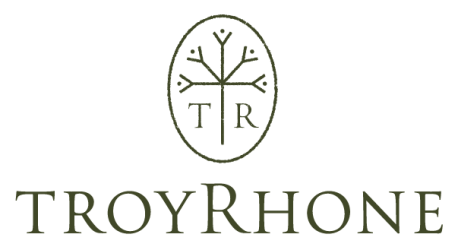 Curious how Troy Rhone got his start in the garden design business? This month’s issue of Flower magazine featured an up-close interview with Troy. He shared details on his approach to garden design and some of his favorite plants. Troy’s personal garden style is what he defines as “a refined cottage look.” He’s a big fan of clean lines and not letting a garden feel too “fussy” or “modern” looking. 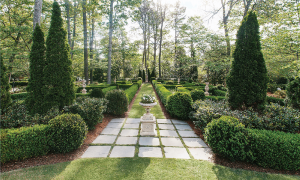 While his gardens do have a formal edge to them — he loves to include boxwoods for structure — Troy also likes to loosen things up overall. 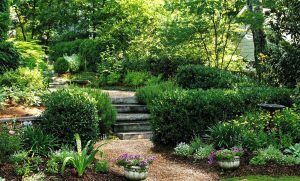 For example, rather than keeping boxwoods sheared very tight, he’ll let some growth happen to allow the plants to appear relaxed. Some of Troy’s favorite plants include antique roses. The reason may surprise you: they’re beautiful, and they’re bulletproof! They have a stunning fragrance, yet they thrive on neglect. He’s a strong promoter of evergreens for texture as well. Rosemary makes a fragrant spikey addition to a garden, along with lamb’s ear for its sliver fluffy leaves. 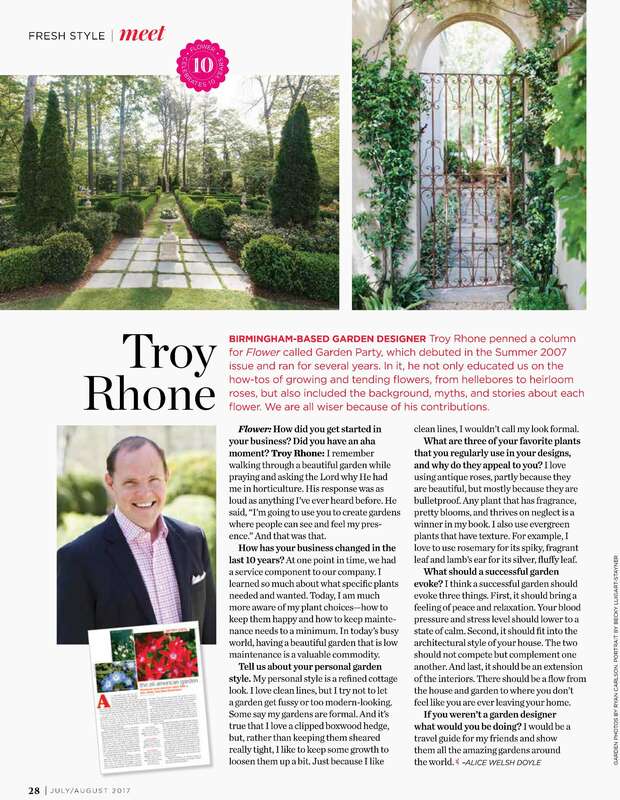 Curious how Troy Rhone defines success in a garden? Read the full article “Meet: Troy Rhone” — published in the Fresh Style section of Flower magazine, July/August of 2017 edition. 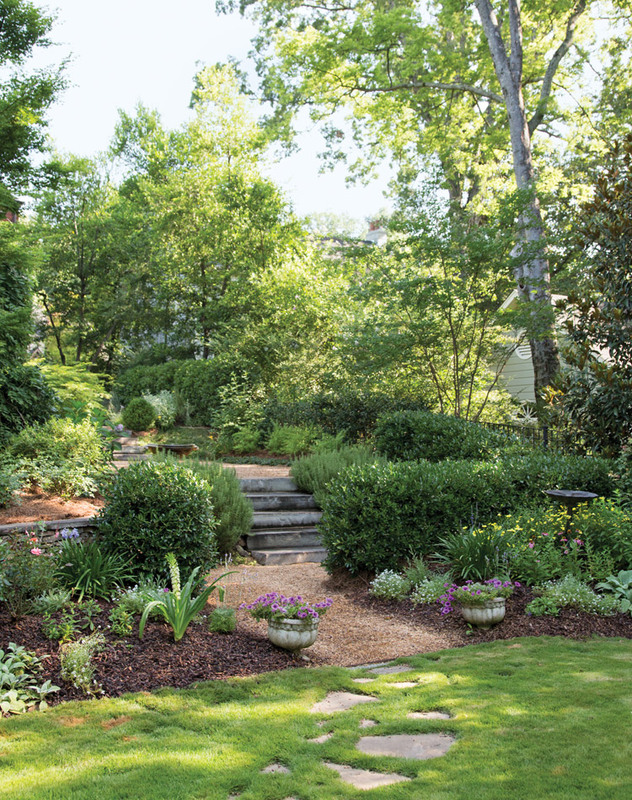 Jan and Lane Savage wanted a garden oasis with an ever-changing showcase of flora. To fulfill their vision, Garden Designer Troy Rhone created a unique garden with terraces climbing the slopes of their mountainside property. The result is a living amphitheater, with radiant performers that include peonies, roses, and dahlias. Around the garden, Troy included nectar-rich plants to invite bees, butterflies, and hummingbirds—all of which fly daintily among the petals. To explore the tranquil have, there are wooden steps, a gravel walkway, and a path of stepping stones. This “Summer Sanctuary” garden design even includes a statue of Saint Francis of Assisi, which takes pride of place beneath the window of his wife’s sewing room. See additional photos of the “Summer Sanctuary” and read the full article in Victoria Classics FLOWERS and GARDENS, published July 2017.